Beautiful classic Gavin dress in excellent condition. 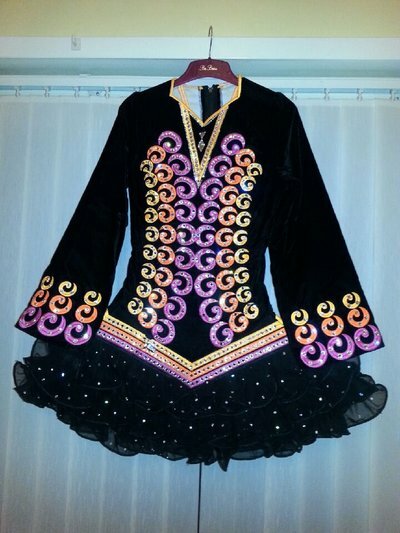 Black velvet with pink, orange and yellow embroidery covered in hundreds of genuine Swarovski crystals. Net layered skirt. Worn less than 10 times and at all majors. Dress bag, headband and black satin knickers included. Located in Kent UK. Can be brought to the Worlds to try on.